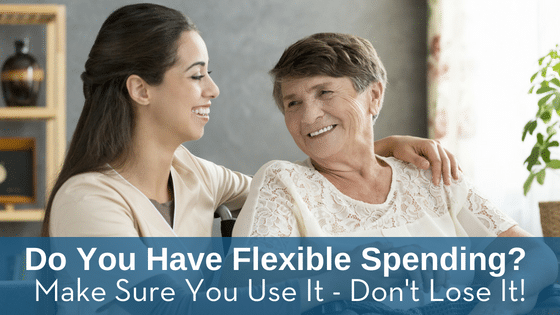 Do You Have Flexible Spending? Make Sure You Use It - Don't Lose It! Do You Have Flexible Spending? Make Sure You Use It – Don’t Lose It! Rising healthcare costs and the complexities of selecting a plan with adequate coverage and without sky-high cost can be hectic. There is one component of health insurance that many people are familiar with: flexible spending accounts (FSA), also known as health spending accounts (HSA). With an FSA, an individual can save part of their earnings to cover qualified healthcare expenses without being taxed on the saved funds. Test Smartly Labs offers a number of health services that can be paid for with a flexible savings account. Here are some common lab tests you may want to pursue this year if you have FSA funds to spend. Do you know your current cholesterol levels? Cholesterol testing is a basic lab test that can be performed quickly and reveal so much about your current health. Since high levels of “bad” cholesterol are linked to increased risk of stroke and heart attack, it’s a good idea to use your flexible spending account to get your cholesterol tested each year. You can walk into any of Test Smartly Labs’ five KC metro areas to learn your cholesterol levels today. We offer a variety of tests that can be purchased individually or bundled into a panel to save you some green. If you ever feel fatigued or mentally foggy, missing sleep may not be the only reason. Vitamin and mineral deficiencies can affect your energy levels and mental clarity, along with immune system function, skin health, the risk of disease, bone health, and metabolism. Depending on your diet and your lifestyle habits, you may be lacking in key vitamins and minerals your body needs to function most efficiently. We offer a range of deficiency tests, that can indicate any vitamin or mineral deficiency you may have. Your results can help you can make the appropriate changes to your diet and habits in order to get healthier! Best of all, you can use your FSA to buy the tests. Are you struggling with itchy eyes, rashes, or other signs of allergies? Find out once and for all what’s behind your symptoms. TSL offers allergy testing of all types, including food allergies, sensitivities, and intolerance, inhalants, regional allergens, and more. These tests help to identify the underlying causes of your allergies to seek treatment. It’s a good way to use your HSA. Use Your Flexible Spending Account at Test Smartly Labs! Ready to learn more about your health and take full advantage of your flexible spending account? Our clean, comfortable facility is the spot to get quick lab testing. We provide the receipts you need to get reimbursed, so your tests can be paid out of your flexible spending account. Next ArticleWhy Self-Directed Health Testing?